Well, he's not actually jumping. More like rearing on his hind legs in the classic "Hi-Yo Silver" pose. Or he could be a dressage horse executing a canter pirouette. 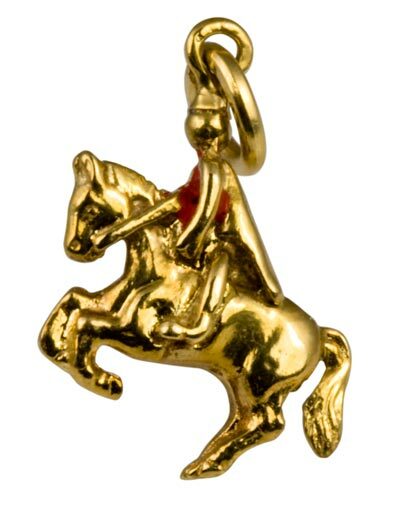 Regardless, a great addition to your equestrian charm bracelet. Tests 14K. 10.0mm (0.75 in.) long from the top of the bail to the tip of the rear hoof. Weight 2.4 grams.